The Whiting Public Library’s Local History Room holds a wealth of information. We have historical articles, books, essays, and photographs for you to examine. In addition, the library has Whiting newspapers on microfilm dating back to 1894. FamilySearch is a nonprofit family history organization dedicated to connecting families across generations. dedicated team of employees and volunteers who work tirelessly to preserve and share the largest collection of genealogical and historical records in the world. A collaborative effort to provide access to the wealth of primary sources in Indiana libraries, Indianas history, and culture found in digitized books, manuscripts, photographs, newspapers, maps, and other media. You can search through a large collection of Whiting, Indiana obituaries. Not sure of the day of death, just type in a person’s last name. 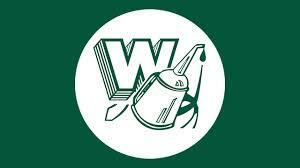 You can search through a digital copy of Whiting High School yearbooks. If a yearbook is not displayed then the library does not have that issue.